DC Pregnant Women are the Victims but Who is the Real Culprit? 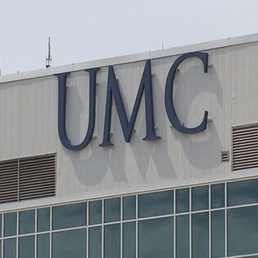 Women in one of the poorest communities in the District of Columbia will no longer be able to deliver babies at their community hospital, United Medical Center. Why? Please keep reading. I will not address the absence of clinical standards performed by the staff that led to a newborn baby being infected with HIV and an obese preeclamptic patient with a severe breathing disorder being harmed. Go deeper into the root cause analysis and you will find politics and money as the culprits. The present CEO of the hospital, Luis Hernandez, was the former CEO of Interfaith Medical Center, a hospital located in my hometown of Bedford Stuyvesant, an African American community in Brooklyn, NY. The hospital went bankrupt and set the community into a tailspin of doom and gloom. The "health consultant", Corbett Price, hired by DC"s mayor previously worked for HCA, in institution riveted with fraud and corruption. Price subsequently became an owner of a "private equity firm called Veritas." Nowhere have you read that neither of these individuals have any medical training or expertise. Yes, they might have reduced business costs with their previous endeavors but in both cases, hospitals closed, hundreds of workers lost jobs and NOW, innocent patients have been harmed. This is what happens when "business" people make decisions about "healthcare" issues. Healthcare is NOT a business. UMC should have been affiliated with at least ONE of the several teaching hospitals within the DC community. They should have received technical support from professional organizations that set obstetrical and gynecological standards. The Joint Commission should have been holding their hand and guiding them. Healthcare is a profession and how many more people must be maimed and dead before we finally "get it?" Pregnant moms, please watch your back. My profound condolences to the Southeast DC community. We, as healthcare professionals have failed you – AGAIN.